Hide deals from seller "Aeration Experts, Inc."
Hide deals from category "Lawn Care Services"
Limit 1 per person. Valid on lawn aeration. By appointment only; must mention voucher when scheduling. Promotional value expires 365 days after purchase. Breathe new life into your lawn with 50% off lawn aeration from Aeration Experts, Inc., available within 25 miles of Chicago's Dunning neighborhood ($85 value). This thorough process will result in a brighter, healthier and greener lawn. Aeration Experts, Inc. has been in the lawn care industry for 11 years and the skilled employees pride themselves on precise and thorough lawn care. Customers rave about the superb customer service, friendliness and most importantly, quality results. 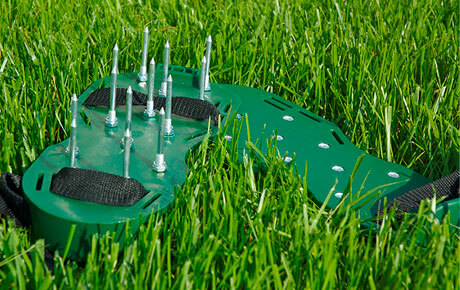 Lawn aeration helps revitalize your lawn by allowing the roots and soil to breathe. After the holes are created, premium starter fertilizer is used so nutrients reach the root system. The compacted soil is loosened, which allows the root system to grow. Let your side be the greener side with this revitalizing deal. Lawn care service in Dunning offering a variety of services.